I am contemplating whether I should publish this post to share with readers. 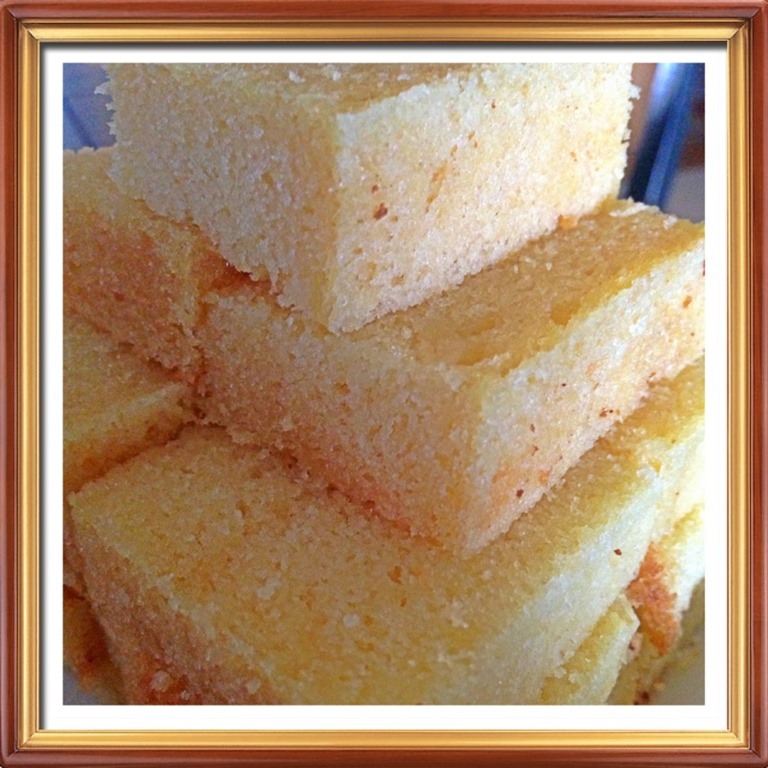 A 95% successful simple butter cake, after long thoughts and since some readers are requesting it, I have decided to share. The next question is is it in this blog or its sister Facebook Page, Guaishushu’s Facebook Page, the answer is here because there are too many pictures to squeeze into the Facebook Page. It followed by another question as to the name of the cake, there are so many versions of this cake floating over the net, I have decided to term it as Mrs. NgSK’s Butter Cake-Guaishushu’s Version. Subsequent to discussion with Ms. Wendy ( her blog is mentioned as follows), as the Guaishushu’s version is materially different from Mrs. NgSK’s butter cake as in her blog, therefore, I have decided to rename the cake as Pound/Butter Cake – Guaishushu’s version. 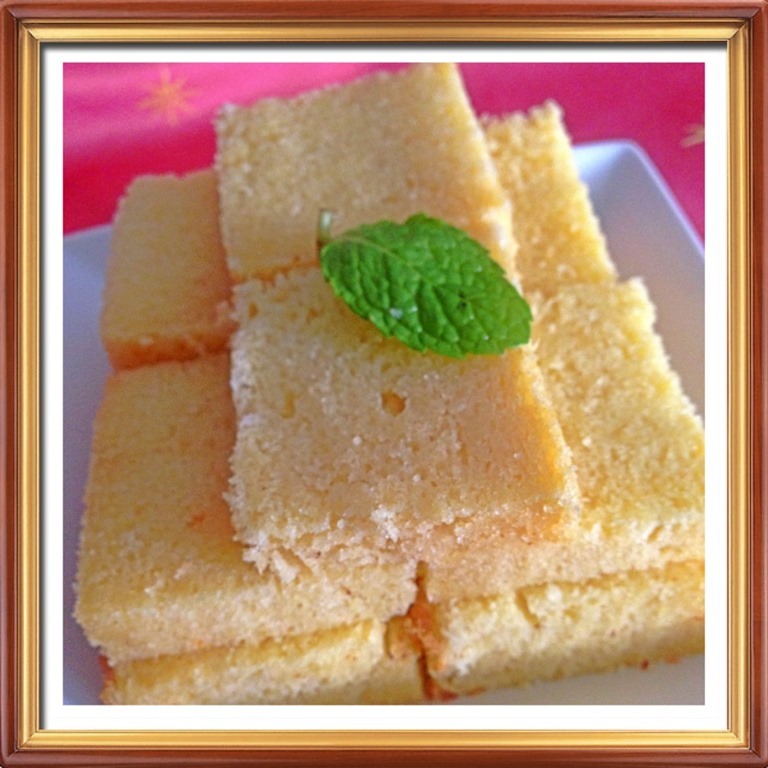 I have quite a detailed description of why I decided to make this cake including the recipe source and the reasons why it is called NgSK’s butter cake and you can refer here. 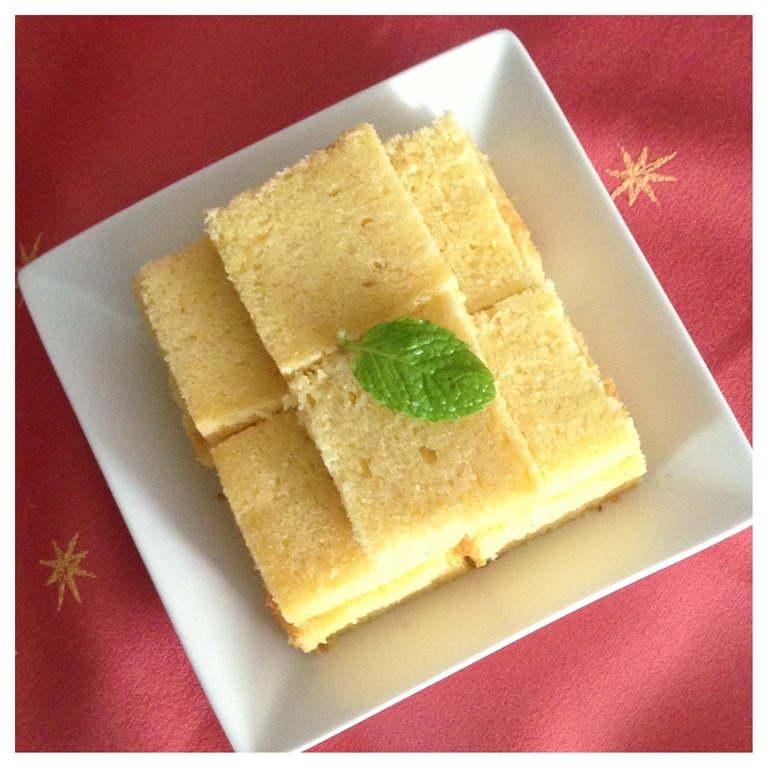 Very briefly, Table for 2, a rather famous blogger in Malaysia is thanking a lady named Mrs. Ng SK for providing her a recipe that makes her butter cake with a flat top and crack less. You can read more from her blog here. I have only followed her method of separate beating of egg whites and egg yolks, other than that volume of each ingredients is using my own traditional pound cake recipe. In addition, the steps that she detailed is also different from mine. Therefore, the name Guaishushu’s version were used. The uniqueness of my recipe is it is extremely flexible and easy to remember. 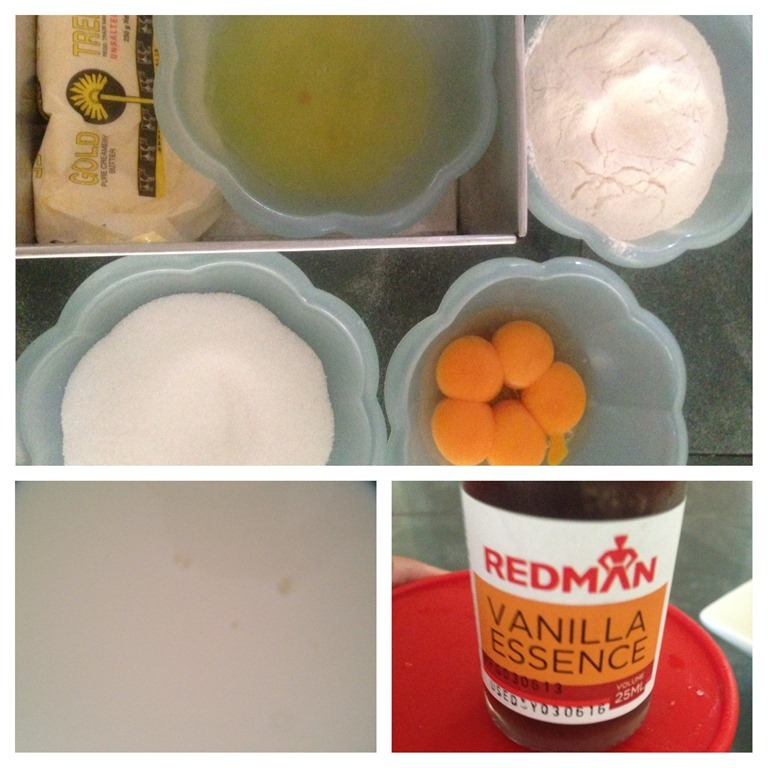 Look at the ingredients and you shall concur with me that it is an easy recipe to remember. For the eggs, it is rather hard to get exactly 250 g. It is absolutely okay with that. 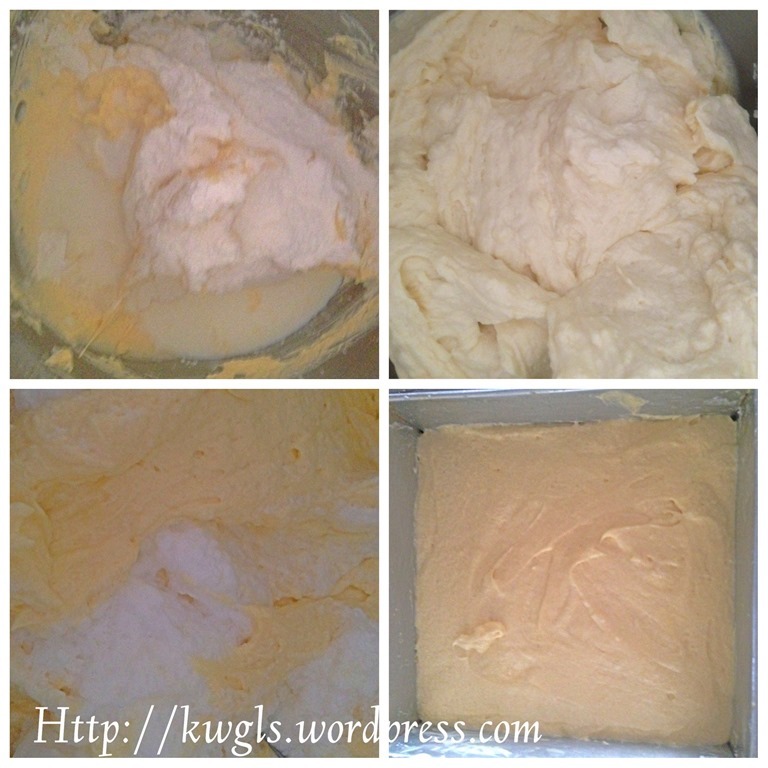 What you need to do is for any excess volume of the eggs, you just deduct the excess from the fresh milk. For example, one egg is 58g and 5 eggs will work out to be 290g. Therefore excess eggs will be 290g –250g = 40g. You milk will become 250-40g = 210g. Another way of expressing it will be eggs + fresh milk = 500 g where eggs shall not be less than 250g. Transfer the batter into the baking tin and baked at 180 degree Celsius from the first 30 minutes. Reduce the temperature to 150 degree Celsius and bake for another 15 minutes or until the top turn yellowish brown and until a skewer comes out cleaned. Note that the demo picture here have a slight burnt on top and if you want to know the reasons you can refer to this post where I have explained my eagerness to get my cake done by upping the temperature. This cake’s recipe is based on the traditional pound cake ratio of one each for each ingredients. Therefore it is easy for the readers to remember the recipe. The critical success factors of this cake is the separate beating of egg whites and egg yolks and the folding of flours and beaten egg whites into the batter. In the original recipe of Mrs. NgSK’s butter cake, Wendy the blogger advised that don’t be stingy with butter and her ratio of butter to flour is much higher than mine. My ratio is 1:1 whereas her ratio is 1:0.83. However, my ratio of milk to flour ratio is 1:1 whereas hers is 33%. Therefore, my butter cake is moister (in terms of water content) as compared to hers. It is possible to achieve the flat top with no crack if readers adhere to what is written above. It is rather usual in the process of baking, the cake have a rise in the middle and that very much depends on your oven temperature. However, for this recipe, as the cake is very light therefore the centre is also easier to cook. It will drop to the same level after cooling. With this process, I tend to agree with WendyinKK of Table of 2 that we are not jinxed to have a crack cake. It is the recipe that I previously used are not correct! 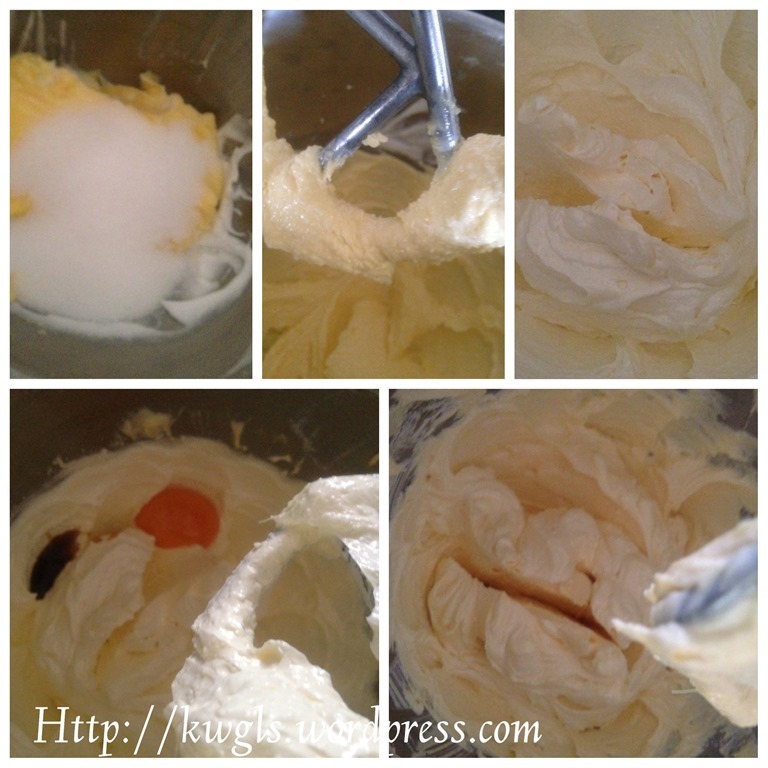 This entry was posted in Cakes and cookies, Food Preparation Series and tagged 8, butter, butter cake, Cream, malaysia, Mrs. NgSK butter cake, postaday, pound cake, singapore. Bookmark the permalink. thanks for linking my blog to yours. Your version is definitely easy to remember. 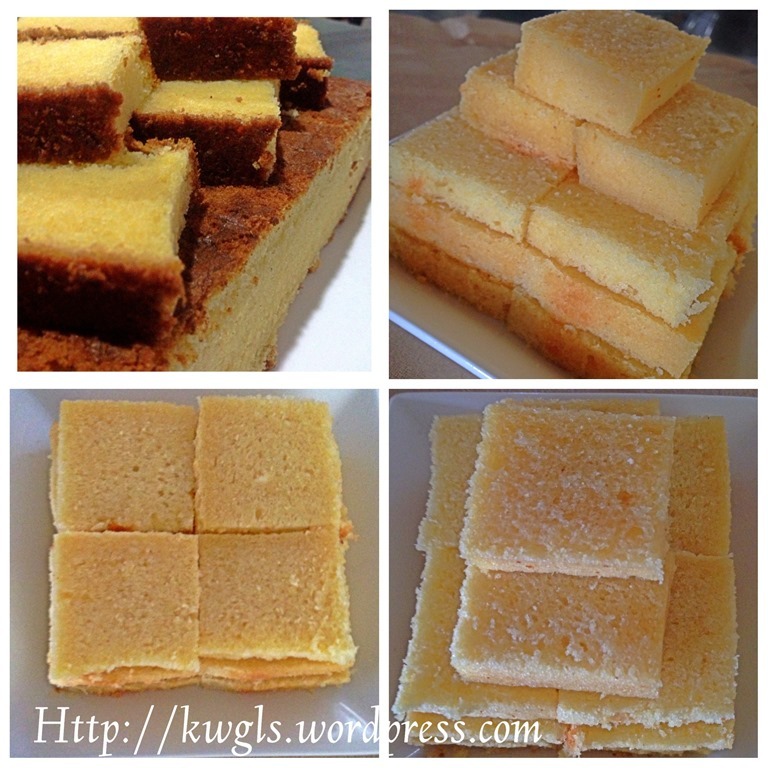 Actually egg separation method for butter cake is not only used by Mrs Ng, but in many other butter cakes too. What makes her recipe special is her ratio of ingredients. Thanks Wendy! Nice to hear from you! Just sharing! 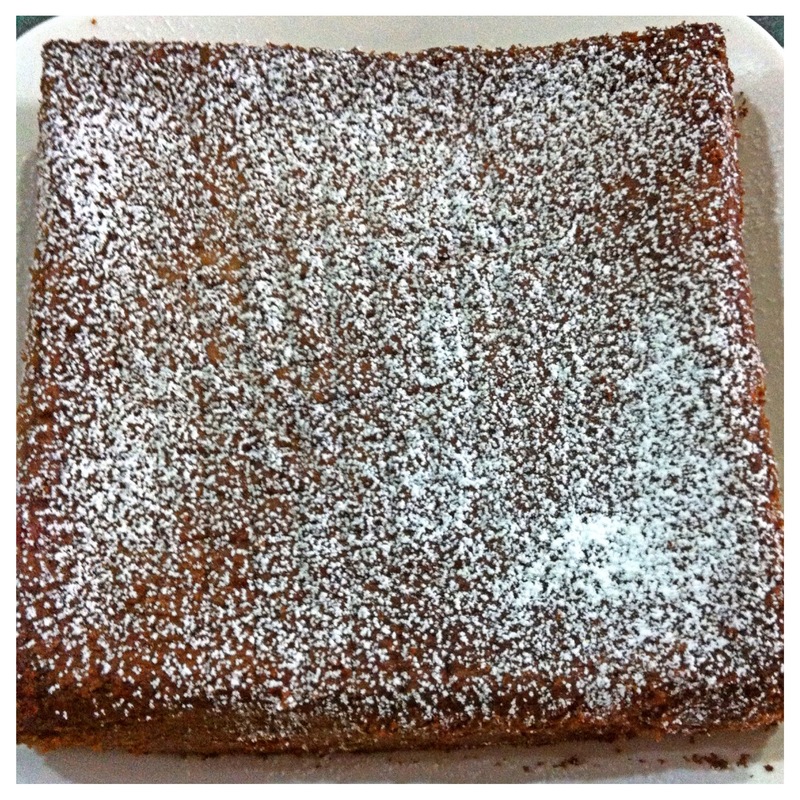 2 factor that make the diff between the normal volcano butter cake! 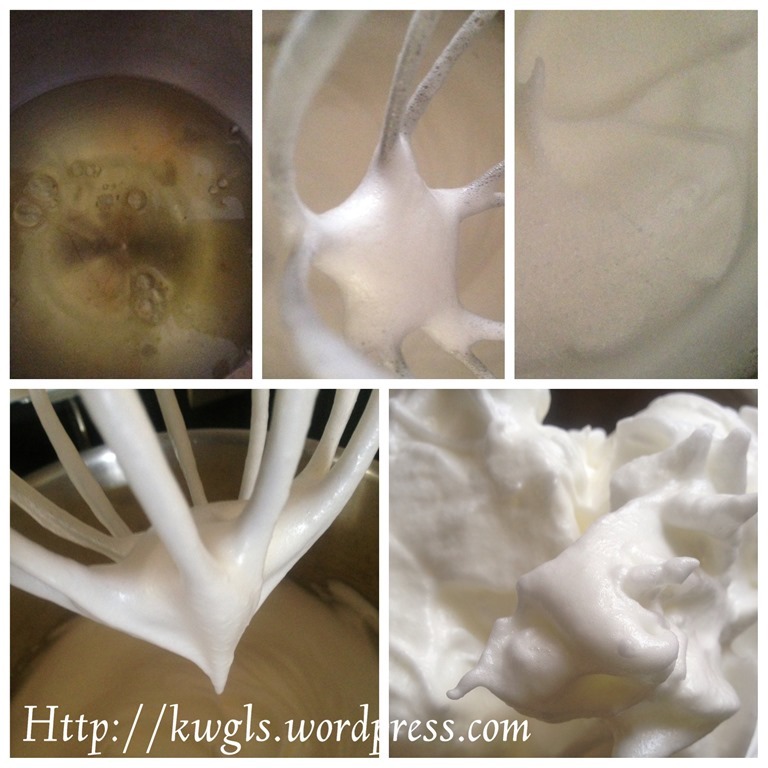 One is meringue and most important one is the milk volume! For me milk is critical. Because I want the ratio to be constant as per traditional pound cake as possible, that is why I dump all the unbalanced figure to the milk! Haha! Really nice to hear from you . oh yes, I beg to differ about the butter to flour ratio. 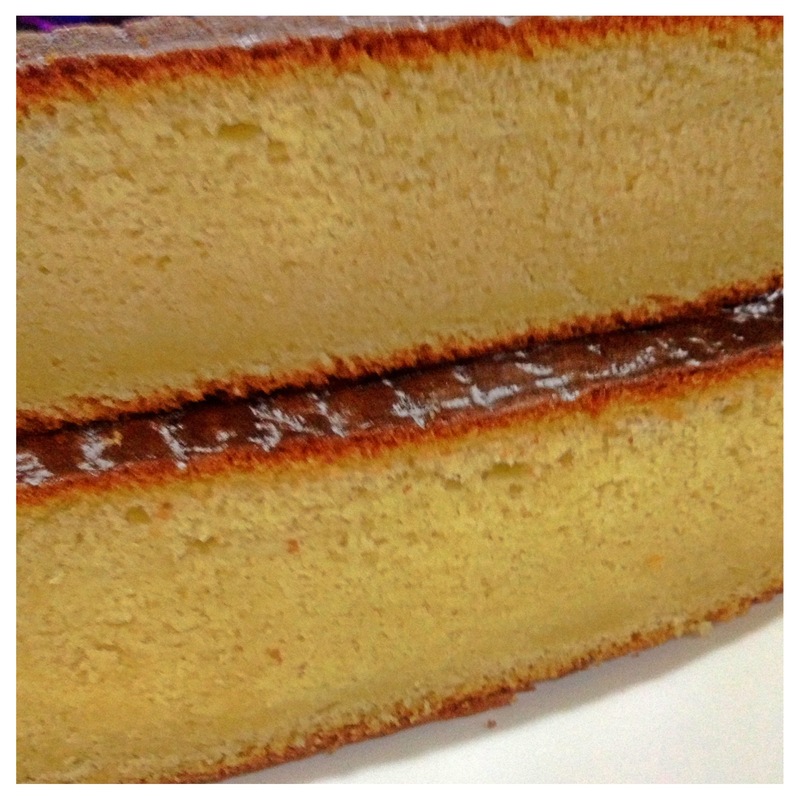 Actually you won’t need to credit this cake to Mrs Ng as it is totally not her recipe, and egg separation method for butter cake is not created by her. I don’t think she’ll mind. It’s ok to her. Thanks for your kind thoughts. I will think about it! I don’t really mind but since it is materially different, I am unsure she mind or not! May be I will see how I can change the post! Thanks a lot for your advice ! 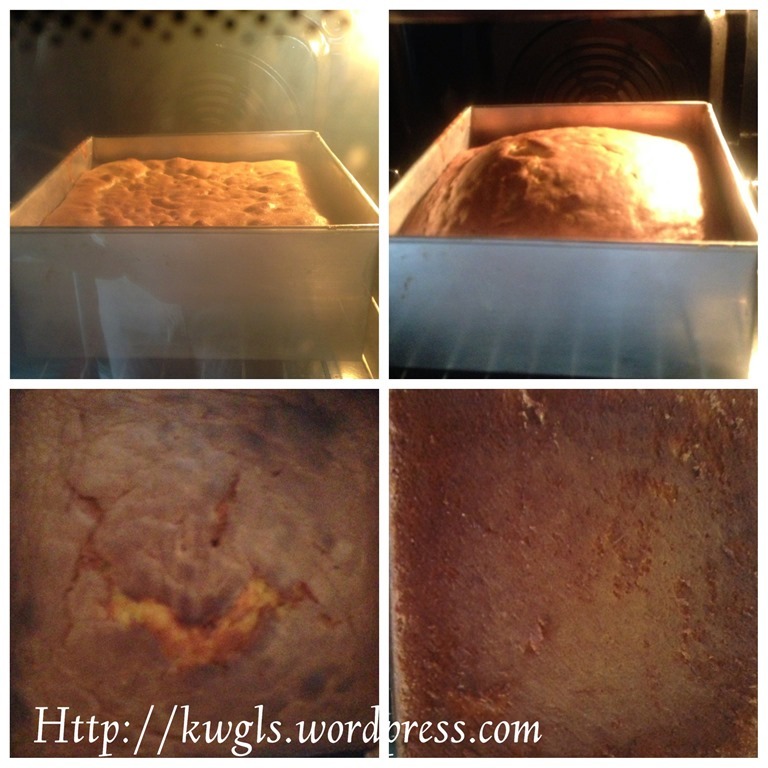 Thanks for dropping by and highlighted about the cake “quatre à quatre”. Due to my ignorance, I am unaware of such a cake in existence and I knew only about the American version. I am not fancy to have the name “Guaishsushu’s version” associated with it, as I believed that there are still many recipes that I am unaware of and I am just promoting the use of “one number baking ratio” since it is hard for me to remember all the numbers! Whether or not Guaishushu’s version is there is irrelevant to me at all. However, if you look carefully, there is a one portion of milk which I think the French cake do not have (pardon me if I am wrong). My point is to use this balancing number to manipulate to the cake that I want it to be! I concurred if my version is the same as French Version, it is indeed reinventing the wheels since I do not think that I am brilliant enough to create a good theory as cooking is just my passion! I don’t like to remember recipe as well. that’s why I like your sharing very much to “Keep it simple”! I will sure to try this butter cake. thanks Ken. I don’t care who the heck invented what recipes! Everyone is copying anyone anyway … Anyone who can invent a cooking/baking method that helps a busy housewife make some homemade goodies is awesome!! Thanks Ken!